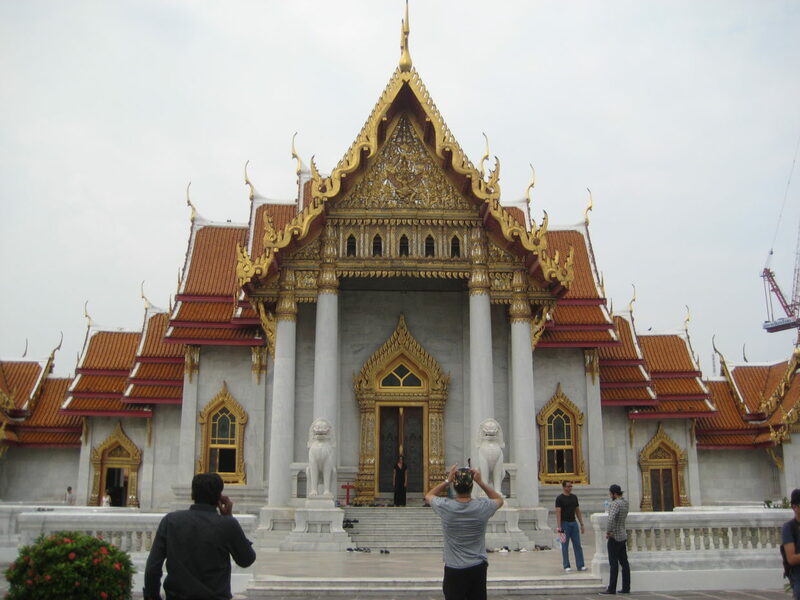 Arrival in Bangkok was a total culture shock. First, it was just after the death of the honorable King. His picture was everywhere, in three days I saw hundreds of photos of him. He is truly beloved. Secondly, the weather was the opposite of Tokyo. After from coming from a quite chilly Tokyo, Bangkok was sweltering hot. Finally, most service workers expect tips. This is fine, but again, just different than Japan. However, to be fair, prices were much cheaper for just about everything. I arranged for the airport limousine company, known as AOT, to pick me up via e-mail about a week before the trip. The price was 1300 baht, or roughly $36 US to make the 45 minute ride into town. The counter was just outside customs, so confirming the driver was easy. The hotel I selected to stay in was the Park Plaza Sukhumvit. The price was very reasonable, around $60 US per night. 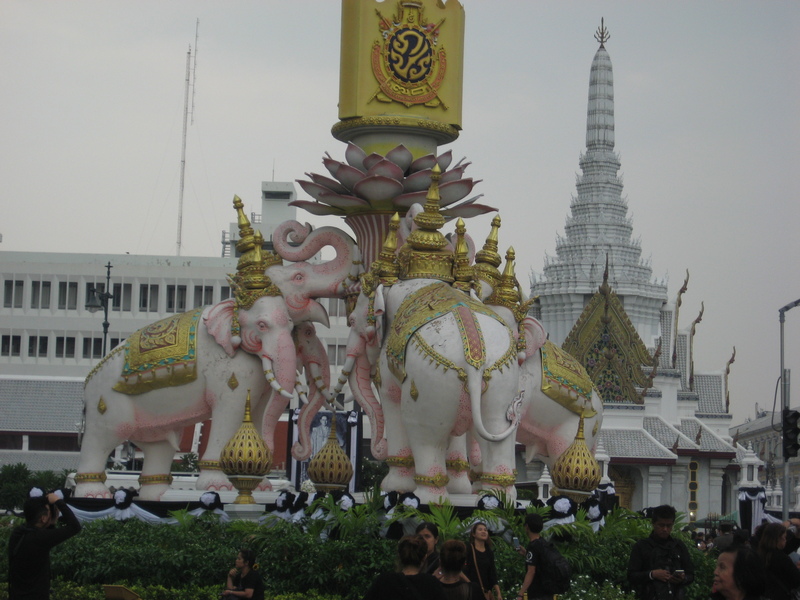 The Sukhumvit area is known as an upmarket part of Bangkok. The location was superb, it was a 2 minute walk from the Asok rapid transit station and the Terminal 21 shopping mall. The best part of the mall wasn’t necessarily the shopping (though tailored suits were to be had for $150), but the food court on the fifth floor. This food was incredibly delicious and extraordinarily cheap. A full dinner plate cost between 30 and 60 baht, aka 1 to 2 US dollars! The system was interesting; one must buy a cash card which is then used to pay vendors in the food court. In general, it’s a good idea to have cash in Bangkok, only upmarket places accept credit card. I’m still trying to understand how food was so cheap there. After a wonderful spicy flat noodle seafood dinner, it was off to bed. 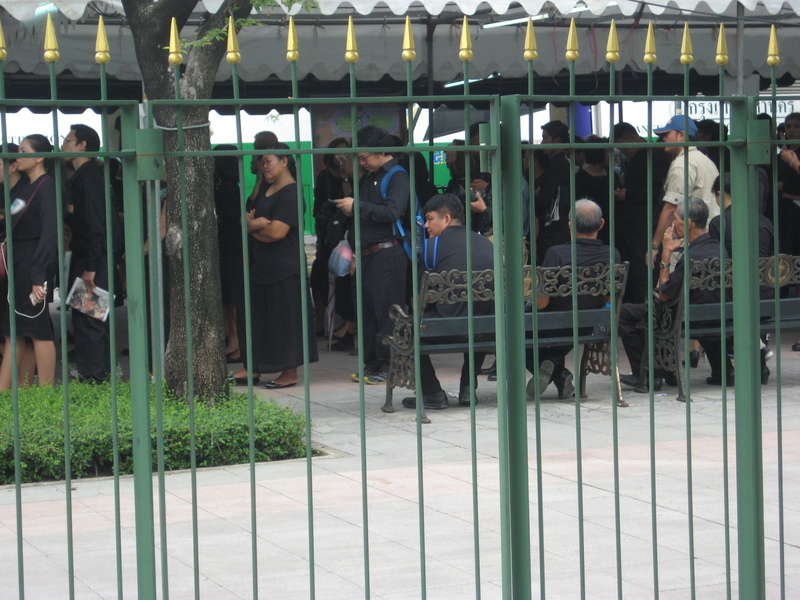 The first thing I noticed in Bangkok was the atmosphere was very subdued, due to the death of the King. There were thousands of photos his majesty. 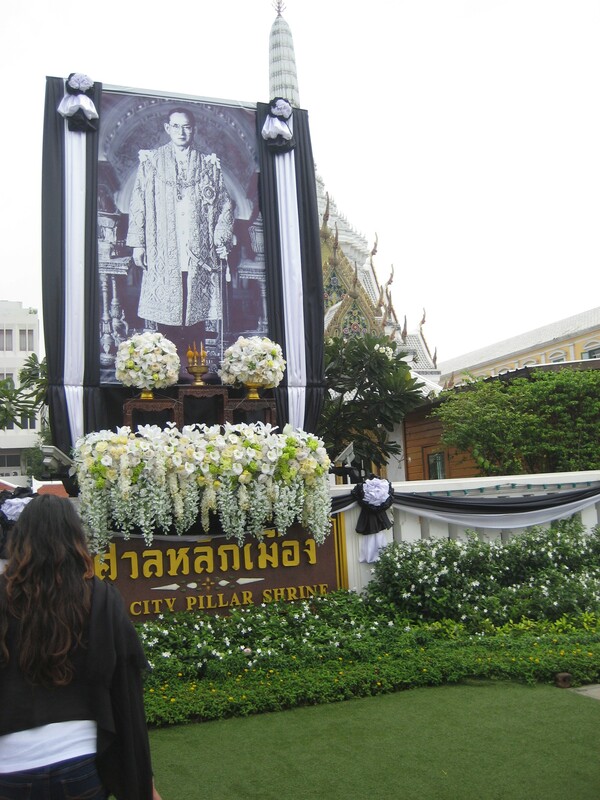 The Thais truly loved the king, you can sense the sadness in the air. 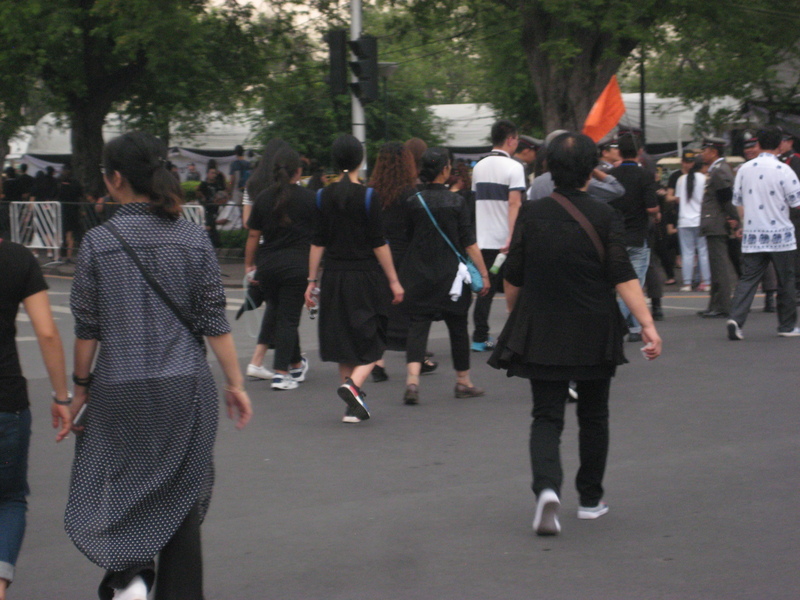 In the general Bangkok area, about 50% of the people wore black. 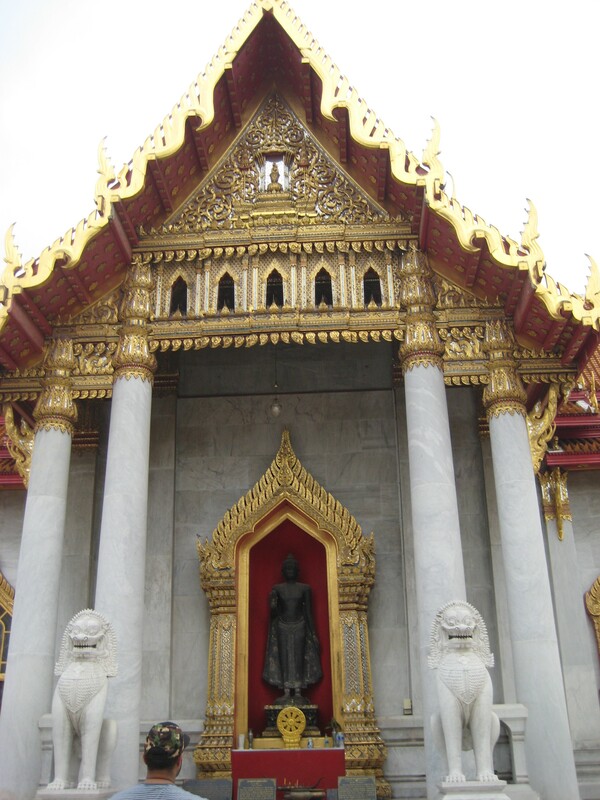 In the Grand Palace area, this figure was closer to 95%. My first stop was to the giant market known as Chatuchak. To get here I took the rapid transit to the end of the line. The market is huge and chaotic. There are deals to be had, but one must bargain. Nothing in such open air markets is as advertised, prices are to be negotiated. From there, it was off to a local temple via tuk tuk. These are basically the same thing as autorickshaws in India. We were taken to a local temple whose named escapes me. It was a serene place, one could look inside and see monks praying. From here was the only down point of the vacation. 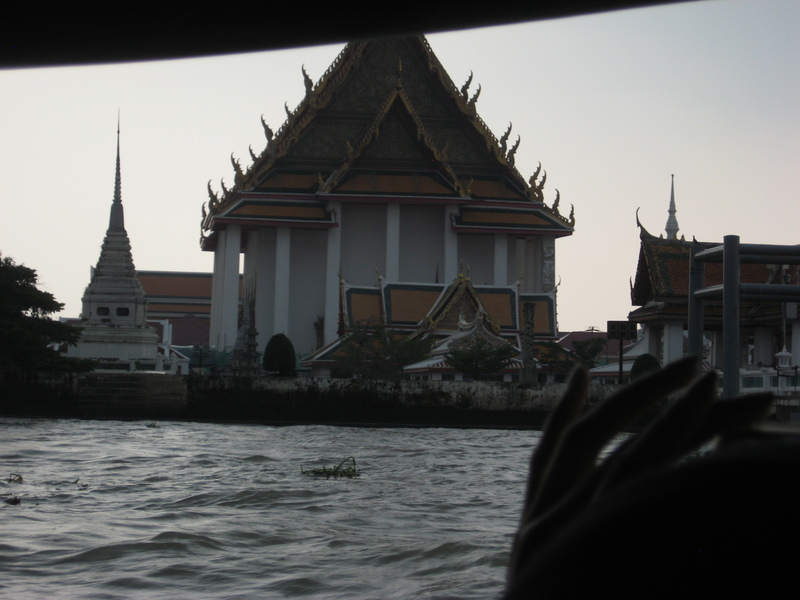 The tuk tuk drivers made all kind of lies about how the Grand Palace was inaccessible, and instead took us to a dock where there were inflated prices for boat rides. There is actually a local ferry service which goes down the river for a nominal price, but this was not it. After fighting hard the price was reduced to 360 baht, about 10 US dollars. This wasn’t the worst price but the entire experience turned me off. This boat eventually ended up dropping me at the Grand Palace area, however since it was nearly 3:30 the area was closing down. The only benefit of this is that I knew that I would be able to see the Grand Palace area one day. The entire area was crowded but quiet and peaceful. The army was handing out water bottles to all. This was very gracious, and one officer stopped to explain the impact of the King on the country and thanked me for coming to pay my respects. After this, there was a brief stop at MBK mall. The food court here was also cheap and tasty, but the mall itself is dated in comparison to Terminal 21. After this, it was back to the hotel for sleep. The next day was to be an all-day jaunt to a floating market and Ayutthaya.